Now we have authentic detail!. All those trussrod car pictures with the sag in the center is now modeled in S Scale. The center of the car is 3" lower than the ends. 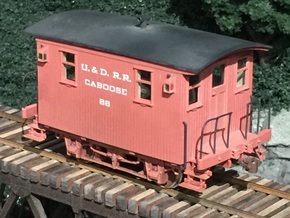 1880 Wood Ulster and Delaware Railroad. Trussrods, brake rods, brake staff required from piano wire. 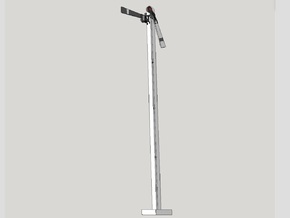 Designed to use brake hose, gladhand, and valve from BTS. Where appropriate, deck, brake wheel, turnbuckles, and air hose, valve and gladhand not included. These models are priced at the Shapeways cost, there is no markup. When the model arrives, check model for damage. They are carefully designed to conform to the dimensions that Shapeways can print. If anything is broken or there are flaws in the print, take a photo, and email it to Shapeways with a request for a reprint. Inspect everything including the brake piping assembly. 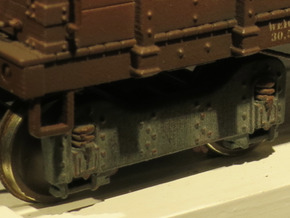 Shapeways should also reprint models that have areas where the plastic and the support material melt together creating hard crusts that are difficult to remove. My experience is that their customer service is reliable. Prepare the model by soaking overnight and carefully washing it in kerosene to remove the white support material that frequently remains on the print obscuring the detail. Spray the model with a filling sandable primer. I like Dupli-color black for trucks, and grey or red for cars. 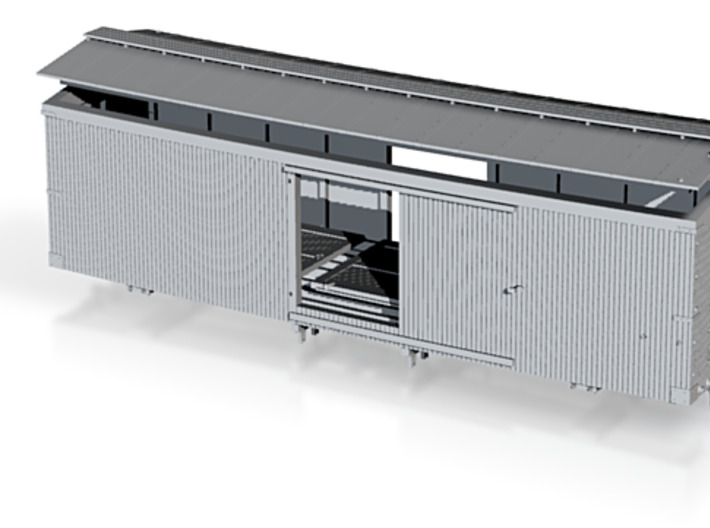 Inspect, sand, install handrails, brakewheels, trussrods, etc. and then paint. There is a space under the deck for a sheet metal weight. 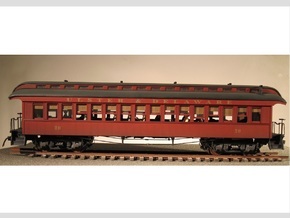 These models are designed for Northwest Short Lines shouldered axle wheelsets in the 33" diameter that were used for both passenger and freight cars of this vintage. I have completed all of these models and many are award winners. If you send me a picture of your completed model I will send you the decals required for free. Please report any problems with fit or assembly to me so that I can make adjustments.